TEL-AVIV, Jan 23 - RIA News . A veteran of Israeli aviation security, Gal Nir, gave a high assessment of the behavior of the crew of a Russian aircraft that had encountered an attempt to hijack the day before, and suggested that their colleagues in the Jewish state would act in a similar way. Gal Nir, who worked as an “air marshal” on flights of the national airline El Al and became one of the leaders of the security service of the country's largest Tel Aviv international airport, called the right decision to make an emergency landing and allow the security forces to address the problem. “They did the right thing to put the plane in an emergency mode. It’s always better to settle such situations when you are on the ground. So you give special services that can negotiate or solve the problem in another way,” said the agency’s consultant Scopus Security. “I think everything went well. By the way, if this happened on Israeli airlines, I believe that they would have acted in a more or less similar way. more qualified structures, "added Nir. Based on the information available now, the expert believes that the crew could have resolved the conflict on their own, but admits that in the midst of the incident it is difficult to assess how serious the situation is. 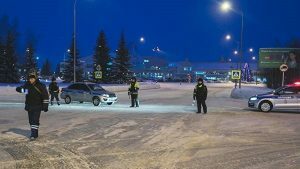 “The attacker could act with more force, could be armed, have accomplices on board or something dangerous in the baggage. At the very beginning, one cannot know what his motives are and how great the threat is. - Says the interlocutor of the agency. 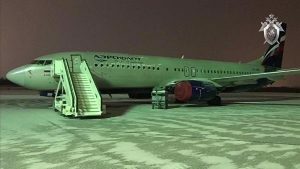 On Tuesday, the Aeroflot plane, en route from Surgut to Moscow, made an emergency landing at Khanty-Mansiysk airport. 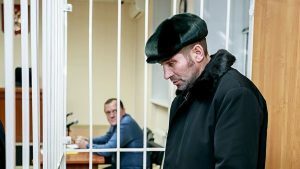 Flight passenger Pavel Shapovalov, who during the flight tried to break into the cockpit and demanded to change the course, was charged with hijacking the plane.